1968 250cc Nations Grand Prix, Monza, Italy. Bill Ivy, Yamaha, 2nd; Phil Read (no1), Yamaha, was 1st. Kork Ballington on his 250 at the 1978 Venezuela Grand Prix. 1964 Isle of Man TT Lightweight winner Jim Redman. 1965 Dutch TT, Assen 250cc race No.3 Jim Redman riding to 2nd place. Freddie Spencer's Honda NSR250, 1985. 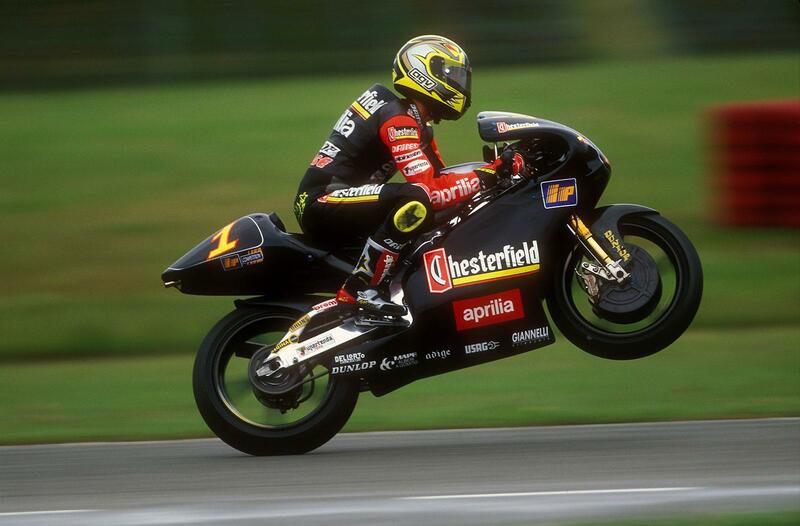 2001 250 world champion on his way to one of 11 victories that season, Daijiro Kato. 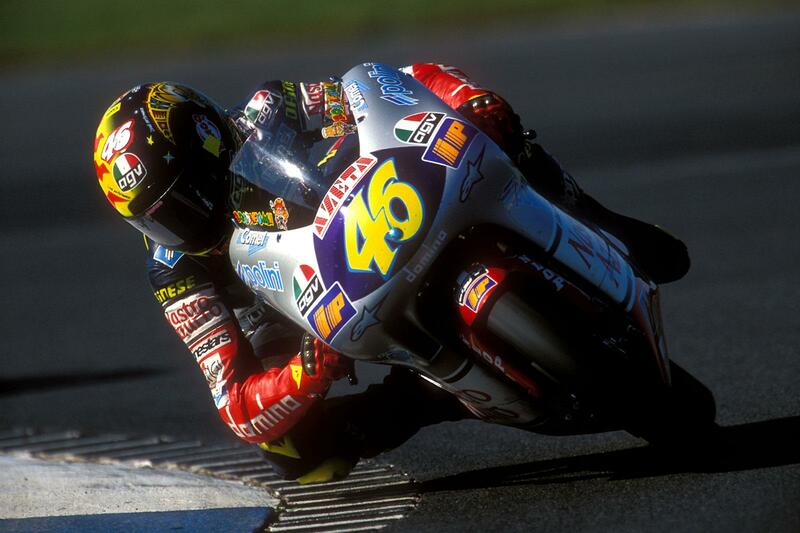 The dawn of Moto2 marked the demise of some of the most clinically functional bikes ever to race. here was something about a 250 in full flow; high lean angles, amazing corner speed, bar-to-bar racing. Watching Hiro Aoyama, the class's final champion, tucked right in extracting the last iota of speed from his bike was as good a model of man and machince in balance at one another's limits as motorcycle racing offered. A modern 250, the result of six decades of evolution, was the perfect mix of power, light weight, stiffness and precision. You had to be good, very good, to get the best out of a small, slim, two-stroke V-twin. Not just on track but off it. First, you had to deal with as much chassis adjustability as a MotoGP bike plus the ancient art of jetting the carbs right. The rider had to be able to communicate with his crew chief accurately and consistently. Come the race, precision was everything. There was enough power to get you into trouble but unlike with a big four stroke not enough to get you out of it with a twist of the throttle. MotoGP team managers knew a top 250 rider had already had to solve some of the most complex problems a racer ever comes across. A rider who could get the best out of a 250 couldn't be anything other than seriously talented. Meanwhile, spare a though for the bikes that have graced the class since 1949. NSU’s DOHC twin, the first modern race engine and the only one of its time to make 125hp per litre, Honda’s fabulous six, Yamaha’s all-conquering TD and TZ twins as well as the amazing V4 two stroke, Kawasaki’s tandem twins, and all the variations on the Rotax theme that gave way to the two-stroke V-twins of Honda, Yamaha and Aprilia. All of them made good riders into world champions. 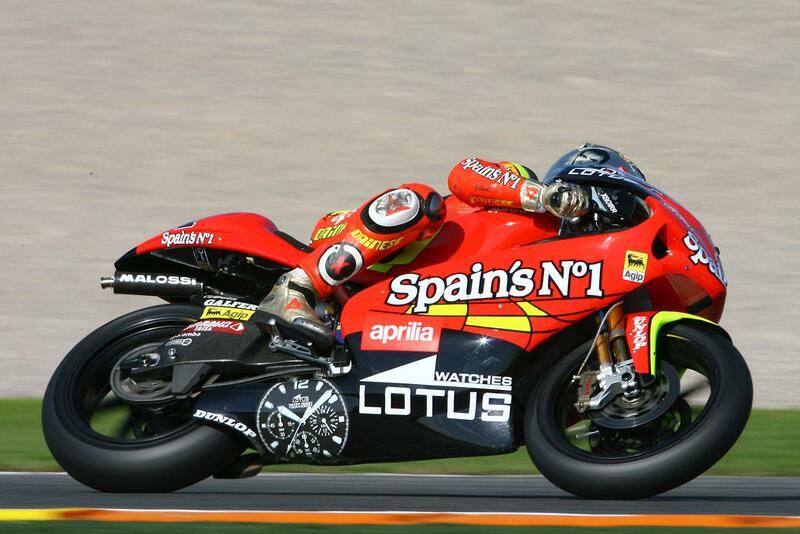 Hiro Aoyama’s 2009 championship-winning bike: compact, pretty, ruthlessly effective. A great example of the virtues all GP250s shared. 100kg – Supersport bikes weigh an astonishing 68kg, or nearly 11 stone, more. 100-110hp, giving a power-to-weight ratio as good as a 2015 R1. 60% the size of a MotoGP bike and therefore able to carry massive lean angles, not to mention fitting in more bikes abreast per corner. The 250’s infinite adjustment (not just suspension but geometry) was a headache for many but a vital brain-training aid for future GP champions. With engine breaking having gone the way of powerslides in MotoGP (mostly) thanks to electronics, the 250’s wheels-in-line, smooth-and-fast, best-set-up-wins cornering manners are more of a mirror for the MotoGP bikes than Moto2 has proved to be. Whatever happened to The 250 generation?